For some people applying eyeliner is super easy and a 30 second process. Then there's us people that use 15 minutes and 10 Q-tips and think it's a hassle to apply. 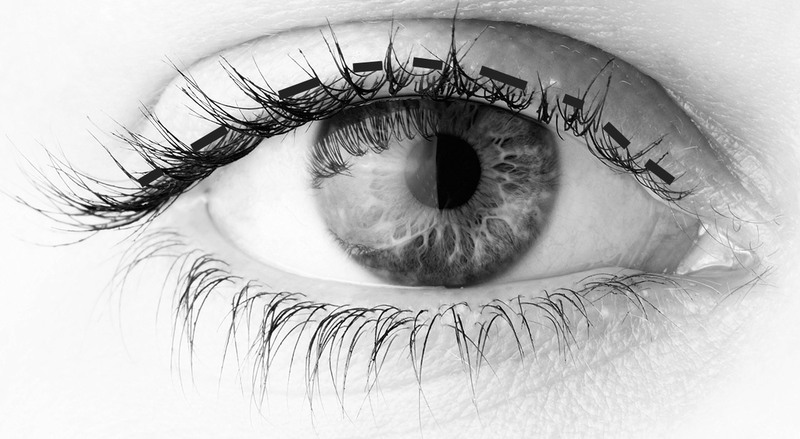 Keep reading to find out the easiest way to apply eyeliner and soon you will become a pro. About a year ago I told myself I was going to learn how to apply eyeliner the right way, without making a mess. It was a long learning process and a lot of messing up in the beginning, but then I found a few things that worked and BAM! Now I know how to do it. First you have to determine what type of eyeliner you want to use. 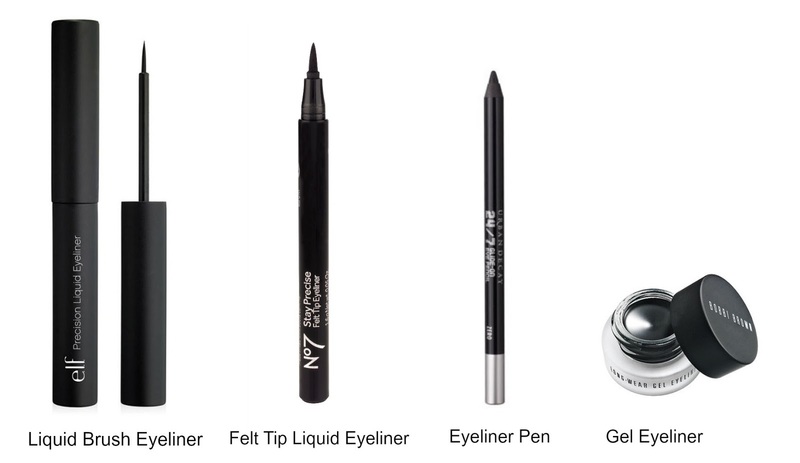 The picture below shows the different formulas eyeliners come in. Personally I like the felt tip liquid eyeliner the best. It's easy to use, because there are no brush hairs, so it creates an even line easily. 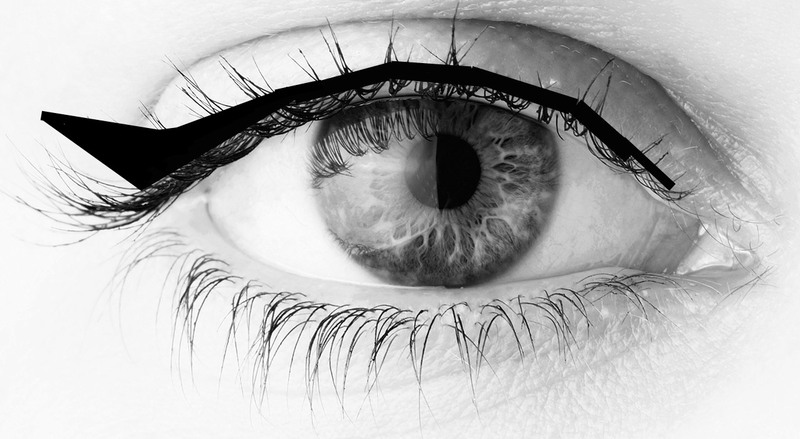 I think liquid brush eyeliner is more for the experienced or if you have a steady hand. Pencil eyeliner is mostly used for smoked out eyeliner or liner on the waterline and gel eyeliner is also great, I just feel like those can be a little drying and not give a precise line. First place your elbow on a table, desk or your thigh while doing this, it will make your hand more steady. Now make small lines where you want the eyeliner to be. Push the side of the brush or felt tip against the skin, don't drag the brush or felt tip just yet, just press it as close to your lashes as you can. Now connect the lines. Red line: Start connection the lines from the middle of the eye to the outer part. Green line: Next start connecting the small lines from the inner corner and up towards the middle. 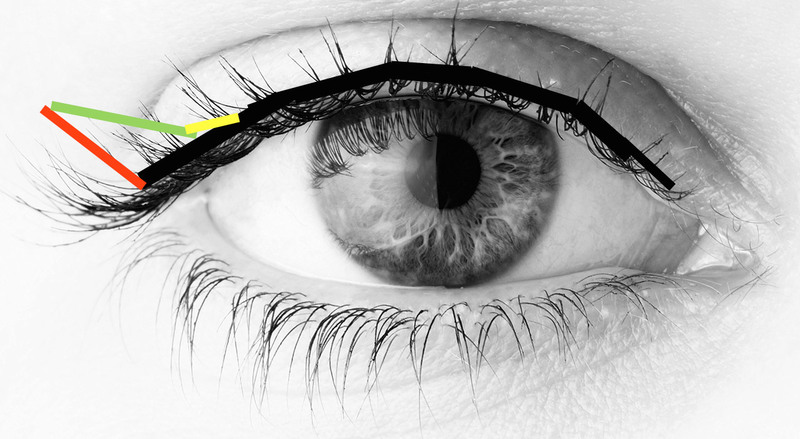 Now run over the completed line with the eyeliner to fix any squiggly lines. Your basic eyeliner is done, you can leave it like this for an everyday look or continue reading to a winged eyeliner. This is the part I had trouble with for a long time. The reason why, is because I have hooded lids (skin folds over on lid), therefore the outside of my eyeliner easily looks funky when I open my eyes. It's all about getting the right flick. General rule is that the wing should line up with the lower lash line (red line). The wing is therefore a continuation of the lower lash line. You can use a piece of tape to create the red line, that way it's easier to create the right angle for the wing. Red line: First draw the angle of the wing you want. Green line: From the end of the red line drag the brush or felt tip down towards the black line you made earlier, this will create a triangle. Yellow line: Round out the connection between black line and wing and fill in the triangle. Your winged eyeliner is now complete! Now the mission is to do the exact same thing on your other eye. If you are creating a winged eyeliner, remember to make small strokes and check after each one, to make sure the wings look somewhat similar. You can always use a Q-tip to clean up any mistakes. Finish of with some mascara - this will also help hiding asymmetric winged eyeliner if they didn't turn out completely identical. To make the eyeliner look more sharp, apply a bit of concealer on a brush and run it along the side of the wing and up towards your eyebrow. When you get the hang of it, you can start experimenting with different styles of eyeliner, thick, thin, double wings and so on, there are endless possibilities to being creative. Just remember that the first attempt might be a fail, good thing about makeup is that you can just take it off and try again. Have fun with it!